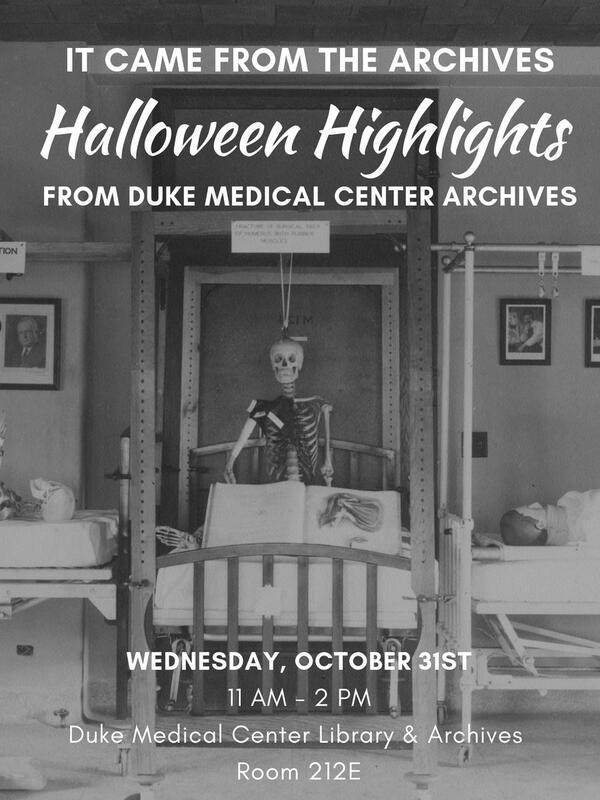 In honor of Archives Month in October, the Duke University Medical Center Archives is hosting its fifth annual Halloween event at the Medical Center Library & Archives featuring a selection of eerie, fascinating, and rarely seen materials from their collections. Brave souls are invited to gaze upon spine-chilling artwork, stare into the faces of frightening death masks, behold macabre medical artifacts and instruments, and much more! Halloween candy will be available…for those who haven’t lost their appetite. The event is free and open to all. For more information, contact Rebecca Williams at (919) 383-2653 or rjw12@duke.edu.